The November Nine (now the October Nine) is set for 2012. The last surviving nine players in the World Series of Poker‘s Main Event ($10,000 No Limit Hold ’em) will face off at the Final Table starting on October 28th this year, vying for a first prize of over $8.5 million – and of course, in some ways just as important, a prestigious Main Event bracelet. The World Series of Poker offers bracelets to the winners of several poker events every year. In 2012, 61 bracelets are up for grabs in everything from No-Limit Hold ’em to Omaha High/Low to HORSE. 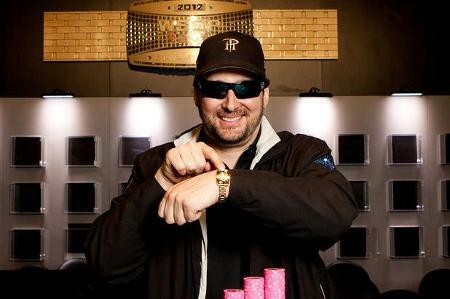 Today’s list features those card sharks who have won the most WSOP bracelets, led by “The Poker Brat,” Phil Hellmuth with 12. 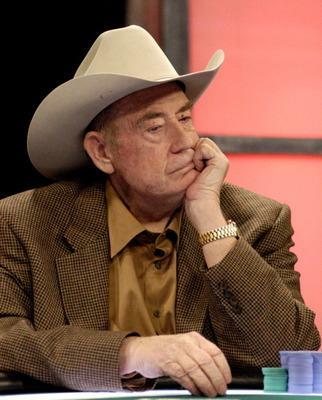 The face of Texas Hold ’em, Doyle Brunson, and Johnny Chan have 10 bracelets apiece, including back-to-back Main Event titles for each. They and Johnny Moss and Stu Ungar, both also on the list below, are the only poker players to win the Main Event two years in a row. Main Event wins are highlighted in green. Alex Rodriguez is being investigated by Major League Baseball for his involvement in high-stakes poker games. We’re talking hundreds of thousands of dollars stakes. Doyle Brunson would be proud. Texas Dolly is of course a member of the Poker Hall of Fame. He used to play poker when it was underground, when people brought guns to the games often held in basements and other shady locales. Now poker is a mainstream “sport,” televised in national and international markets. The World Series of Poker and World Poker Tour are glamorous (maybe) series where the best poker minds from around the world – and amateurs – compete for purses well in excess of a million bucks. Here’s a list of the members of the World Series of Poker Poker Hall of Fame. Barbara Enright is the sole female inductee, so far. For more on each of these poker players, click here.